In Grimslingers you and your fellows become powerful witches possesing elemental powers. Show what you are worth while you duel and reduce opponents to bits or join up to survive a story together in the campaign mode! Also check out the new Grimslingers: The Northern Territory expansion on Kickstarter with improved gameplay and strategic choices in pvp mode, along with a lot of new solo/co-op content! 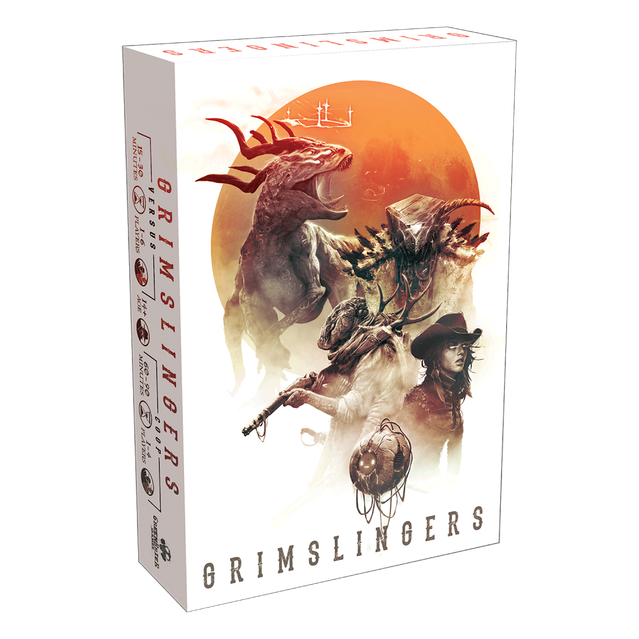 Grimslingers is a strategic card game set in a sci-fi fantasy western, featuring two different modes of play—versus and co-op. As powerful witches, you will use elemental spells, your wits, and just the right amount of luck to overcome your opponents, or work together through a narrative campaign composed of several chapters.